You are probably familiar with the Jitterbug. That is the large, no frills phone with oversized buttons designed for those advanced in age or for those whom a featurephone would be too much technology. What you might not know is that the phone is produced by the globe's top smartphone manufacturer, Samsung. We originally wrote about the Jitterbug back in 2006 when the phone for seniors was introduced. Now, Samsung is introducing the Jitterbug Plus which helps some seniors get into the social networking age with a one button connection to Facebook. Clicking on that button allows them to post any of the pictures they have snapped with the phone's 1.3MP camera, on to the social networking site. The buttons are still large and include easy to use "Yes" and "No" buttons and a panic button that let's you speak to a 5star urgent response agent. The Jitterbug Plus is available from retailer's like Best Buy, and Radio Shack for $99 in silver or red. Or, you can make the purchase from the Greatcall.com web site. If you're seriously interested in the device, we'd suggest you act now because the price is scheduled to rise $20 to $119 shortly. The Jitterbug Plus is equipped with a stronger battery and better speakers than what was included with the original model. Users can turn features on or off, dependiong on how simple they want the phone to be. Things have changed since the OG Jitterbug launched in 2006. Half of all seniors are now online while one in three use a social networking site. San Diego, Calif. – July 2, 2012 – GreatCall, Inc., a leader in wireless services that enables its customers to stay connected, safe and healthy, today announced the national availability of its new Jitterbug® Plus cell phone. The new phone offers a sleek and simple design along with a smart new feature set that includes a stronger battery life and improved speaker, packaged in a lightweight, comfortable handset. The Jitterbug Plus also features an easy-to-use camera with a thoughtful one-touch photo sharing service that allows users to share their photos with the touch of a button. The celebrated design that made the Jitterbug the gold standard of simplicity stays the same, including the ability to easily turn features on or off to match your lifestyle, but avoid feature overload. With one of the longest lasting batteries on the market – up to 25 days of standby time – the Jitterbug Plus provides the luxury of not running out of power frequently. 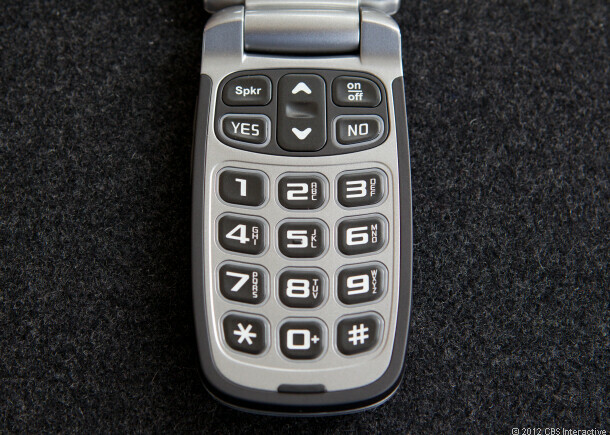 The new handset also retains the simplest menu navigation available, by providing simple "YES" or "NO" buttons, a backlit keypad and big, legible numbers. The improved speaker ensures all conversations are loud and clear. "For our customers, simple is smart, and we're helping them learn new ways to stay connected and safe by adding easy-to-use features that they'll actually enjoy using," said David Inns, CEO of GreatCall. "A few years ago it was simplified text messaging, now it's one-touch photo sharing on Facebook." Since the original Jitterbug cell phone debuted in 2006, today's mature Americans are looking for additional features to meet their lifestyle needs. The Jitterbug Plus has evolved along with them to include a thoughtful feature set that is never intimidating. · For the first time, half of adults age 65 and older are online. · One in three online seniors uses social networking sites like Facebook and LinkedIn. · Social networking site use among seniors has increased by as much as 150% (from 13% in 2009 to 33% in 2011). · Baby Boomers are increasingly using Facebook-a combined 28 million people over the age of 45 are active on the social network, uploading on average 391-418 photos-just as many as younger users. The demand for a mobile device that can quickly and easily exchange information is high. With the simplicity of the Jitterbug Plus' new photo sharing capability on Facebook, consumers don't need to worry about computer cords and complicated uploading procedures. At the touch of a button, Jitterbug Plus users can easily capture special moments via the built-in camera and instantly share them with family and friends. The new Jitterbug Plus will retail for $119 with a limited-time introductory price of $99. To purchase the new Jitterbug Plus, call directly at 1-866-554-4751, online at greatcall.com or at select retailers including Best Buy, Sears, Radio Shack Dealer Franchise, Fry's Electronics and ShopKo. Visit our store locator online to find a retailer near you. Nokia can do so much better than this. I suggest you look at the 110,111,306&311 instead. Carriers need this kind of phone, so they can sell them to seniors. It wouldn't bother me if I never had to talk to another senior duped into get an iphone or android by a store rep or their kids.